Have you ever sat there modifying individual Outlook emails one at a time, wishing that there was a faster way? Ever looked at a huge job and thought "it sure would be nice if this busy-work was automated somehow". Good news! There is a faster way and you can choose to have it performed automatically. You see, the Total Outlook Converter Pro comes complete with batch processing built right in. No more being stuck with proprietary formats that only work within the Microsoft Outlook email client. 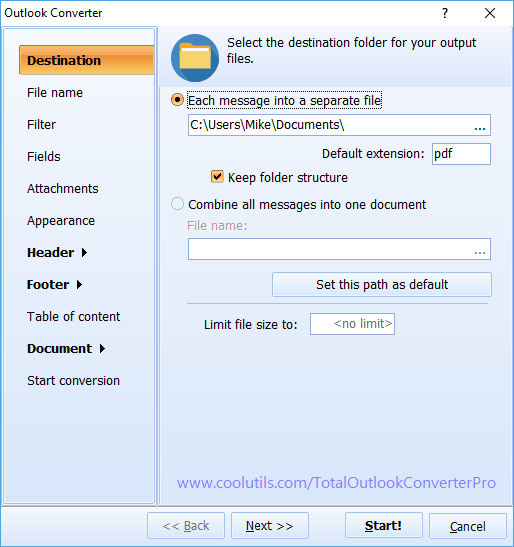 Whether you're looking to convert PST, convert OST, or any other file formats native to Outlook, our batch Outlook converter can help. Here at CoolUtils we understand that software should be developed in a way that makes your life simpler; easier. To that end we've created a user-friendly GUI and included advanced support for command line access too. Whatever size job you're working on, convert Outlook emails in batch with the Outlook Converter Pro. 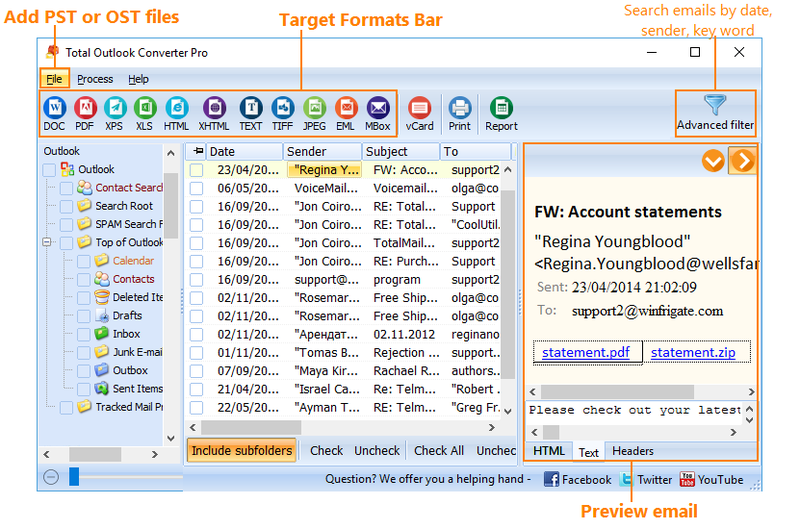 Convert many Outlook emails in batches. Choose to leave attachments as they are. 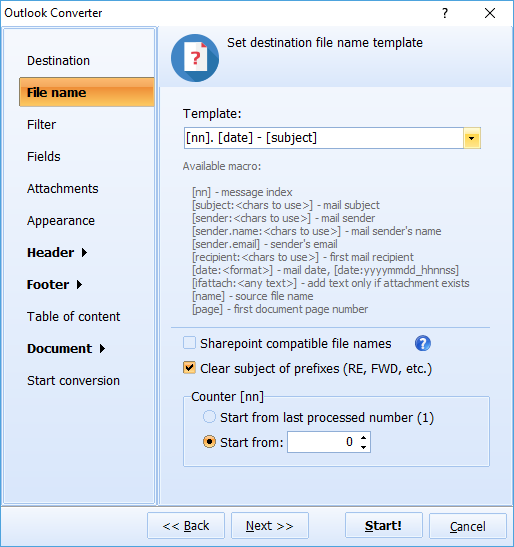 Merge lots of emails into a single source. Filter based on specific data fields (date modified, recipient, subject, etc). We've spent over a decade designing and redefining what it takes to produce top notch conversion software. We never shy away from a challenge, and we're always looking to advance our programs. In fact, many of our revisions have come from users like you sending us feedback. No subscriptions. No hidden fees. 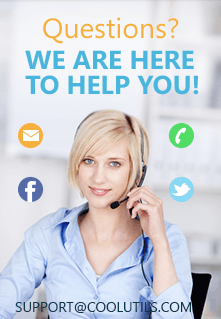 Just a solid lifetime guarantee of service and excellent customer support. For $99.90 you will be gaining access to an amazing conversion utility supported in more than a dozen languages. Don't delay; check us out today!